A regional daily journalist has completed a challenge from his editor to capture each verse of the ‘Twelve Day of Christmas’ in photographic form. Yorkshire Evening Post editor Hannah Thaxter tasked assistant features editor Neil Hudson and the newspaper’s photographers with capturing all the characters mentioned in the festive song for a daily piece in the run-up to Christmas. A feature and accompanying photo has appeared in each edition of the YEP over recent days, with the ‘twelfth day’ set to run tomorrow (Saturday 23) – the final edition of the Leeds-based title before Christmas Day itself. 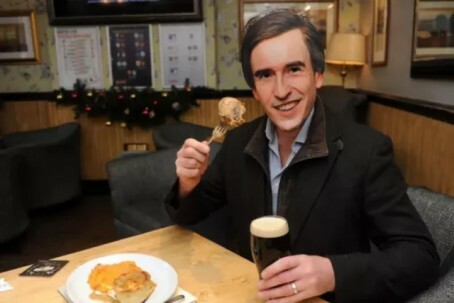 Neil’s journey saw him don a mask of Steve Coogan’s comedy character Alan Partridge for the first day, and he admitted some of the challenges were “more difficult than others”. 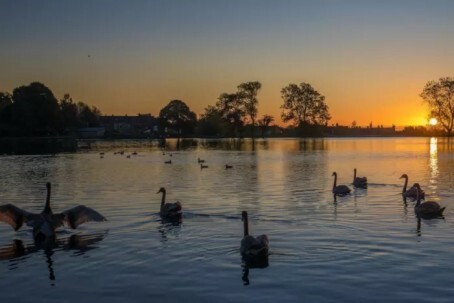 He told HTFP: “As you can imagine, partridges in pear trees are seldom spotted in these parts and snapping ‘seven swans-a-swimming’ isn’t something you can just go out and do on the spur of the moment. “When the editor Hannah Thaxter first came to me with the idea, it was the week before she wanted the first article to run. “If I’m honest, my first reaction was that this was like one of those impossible tasks from The Apprentice where they have to run round grabbing all kinds of strangely named objects, except these were pictures. – very particular pictures. I mean, where do you find two turtle doves and 11 pipers piping? And what passes as a ‘calling bird’? Neil said his subjects had “really embraced the idea and got behind it”. He added: “The Northern Ballet went out of their way during their run of The Little Mermaid at Leeds Grand Theatre to do us a really lovely bespoke picture. The same happened with City of Leeds Pipe Band. I mean, who even knew we had one, never mind that they were in Guy Ritchie’s King Arthur film? “So, it’s been fun, difficult, annoying, rewarding and ultimately we’ve managed to shine a light on all kinds of groups and projects – like the HenPower project in Leeds, giving hens to old folks’ homes – and I also hope I has spread some festive cheer among our readers. Hannah added: “Neil’s got a lovely quirky style of writing, and I knew if anyone could pull this off, it would be him.